Oh it’s been ages and I can not tell you how exciting it was to go and pick up a few new beauty bits. You know how it is sometimes, even though you have everything, you just need a beauty refresh. I’ve very much been cheating on makeup and beauty with house things. Sometimes being an adult means somethings gotta give, and that’s ok. Lucky for me I had a Space NK voucher that was burning a hole in my pocket, mixed with a day to myself. I’m sure you can guess how it ended. This is how it tends to be when you get a voucher, well for me anyway. Either I can’t find anything or I can’t make a flipping decision on what to spend the voucher on. So it rides round in your hand bag until it’s about to run out. I went in looking for makeup to refresh my stash and came out with a bag of skincare. Don’t ask. Here is what I picked up and first impressions of the bits I’ve not used before. 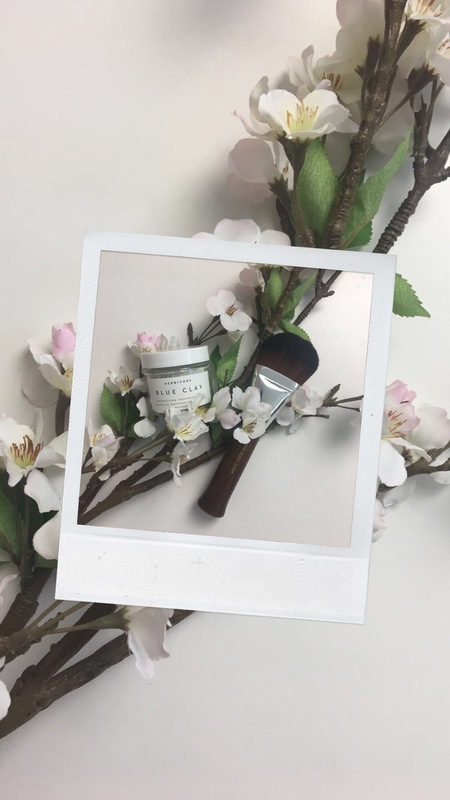 You can’t resist picking up a well loved product can you. 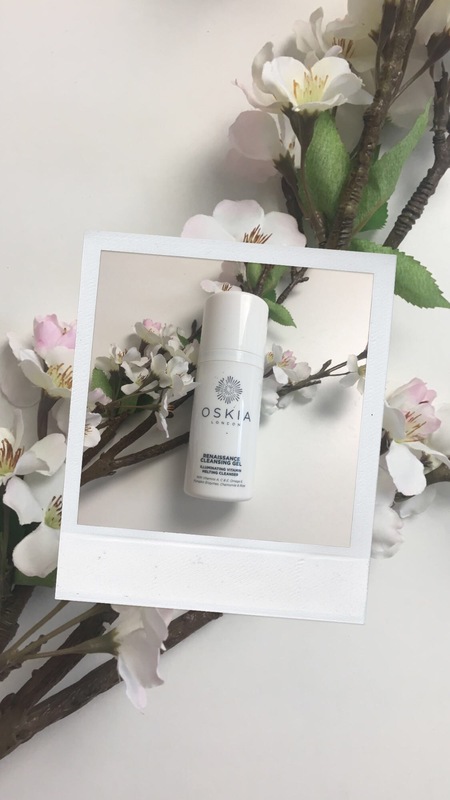 Oskia Renaissance Cleansing Gel. It’s a facial in a cleanser and I love it. 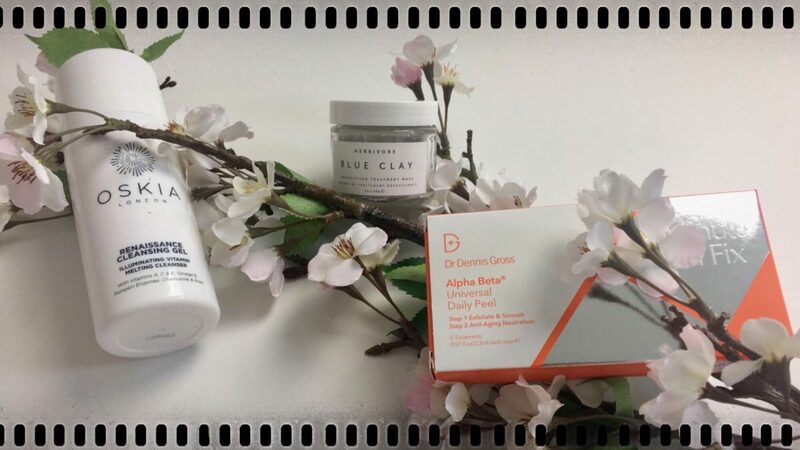 The brand ethos is brilliant and it’s skincare that works. It’s suitable for all skins, especially those that want to boost radiance. If you are sensitive test a patch first. There are pumpkin enzymes which break down your dead skin cells to reveal healthy skin. It’s a gel that turns into an oil. Add a little water and it emulsifies and goes milky. After a few days of using you will notice increased glow. Best of all your skin feels soft and comfortable after use. I’m oily and it doesn’t make me greasy. It helps keep my skin looking clear of blemishes too. Little tip if you have time leave it on for a few minutes the enzymes will give you a quick 5 minute facial. New to the UK brand, Herbivore. I mean the name makes me think dinosaurs but they are getting at the fact they are vegan. I love that, because if it works and it’s vegan I am very pleased to have it. I went with the safe option of a mask but do you know what, it’s a pretty good mask. It’s a little bit of fun, if you’ve time for that. You just mix a small amount with water and apply where needed. I think what impressed me most was the mask dried but you don’t need a chisel to get it off. A wet flannel melts it completely off. It’s great for a congested skin, to improve the clarity. So far it’s definitely improved the clarity of my skin but it’s still early days. Another brand I haven’t tried before Dr Dennis Gross. What can I say, I heard the sales assistant telling someone about these and grabbed a box. I pretty much ran for a box. 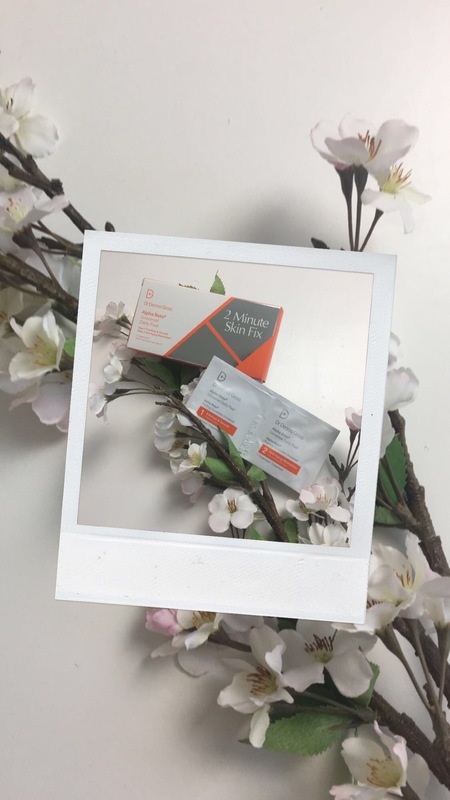 As it’s early days it’s tricky to see they full extent of what these can do but two packets in my skin sure is looking bright and radiant. Only disappointment is the lack of tingle. She made out it was quite intense and you know what, I kinda like to feel these things working. Yeah barely felt a thing. Not even a little tickle. Major sad face but my skin seems to like them and I’m feeling radiant. Some days I shock myself because I showed a lot of restraint and stopped there. Yes I could of done some serious damage. But now is not the time for me to be spending all the money on makeup and skincare. I’d happily recommend everything that I picked up. Especially the Oskia Renaissance cleansing gel. But who doesn’t love that. Let me know what beauty bits you’re loving atm or if there is anything I should check out.